Solvent system for cleaning molds. General purpose cleaner that may be used to remove excess semipermanent release, resin residue and to prep molds before touch up with semi-permanent release. Proprietary synergistic blend of hydrocarbon solvents designed for cleaning various tool surface. Wear chemically resistant protective gloves such as nitrile, neoprene, or butyl. Wash hands frequently and, if convenient, use a protective hand cream. Washing of hands is recommended since CX-500 may penetrate gloves after extended use. Use goggles and do not smoke until hands are completely clean. 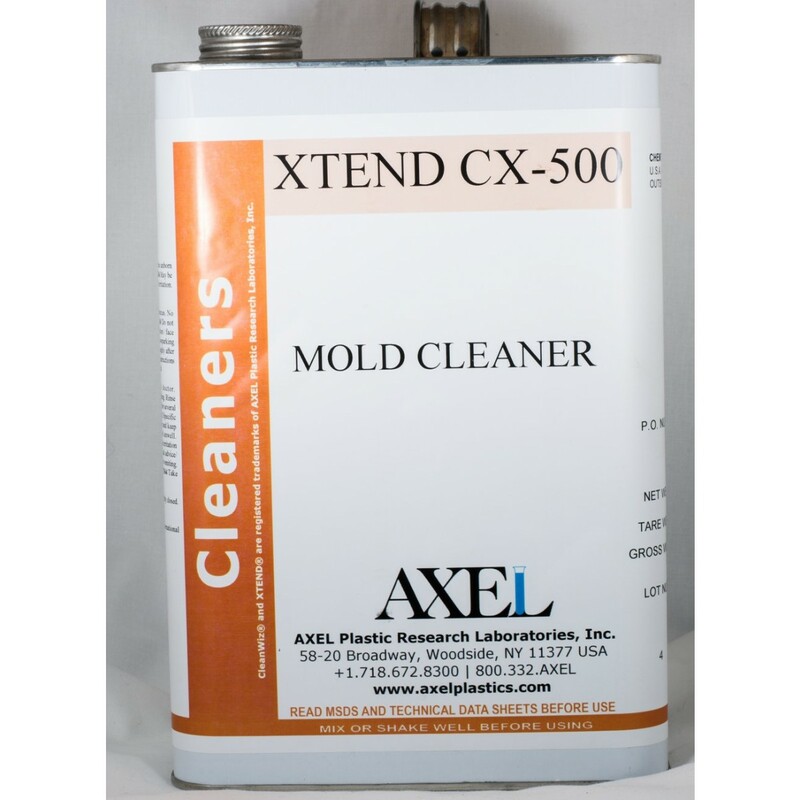 When cleaning RTV or rubber molds, apply CX-500 to the outside of the mold a few times to determine if there is any harmful effect to these materials.